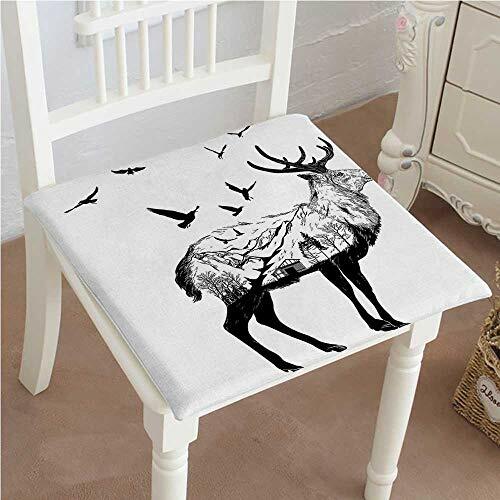 Mikihome Classic Decorative Chair pad Seat Cottage Scenery in Hand Drawn Animal Flying Birds Countryside Wildlife Themed Black White Cushion with Memory Filling 20''x20''x2pcs by Mikihome at Animal Backgrounds. MPN: YZD-15-0823-05685K50xG50x2pcs. Hurry! Limited time offer. Offer valid only while supplies last. Waterproof seat protectors are made of durable eco-friendly polyester pongee protect your car seat, chairs, house, etc from dirt and spills.